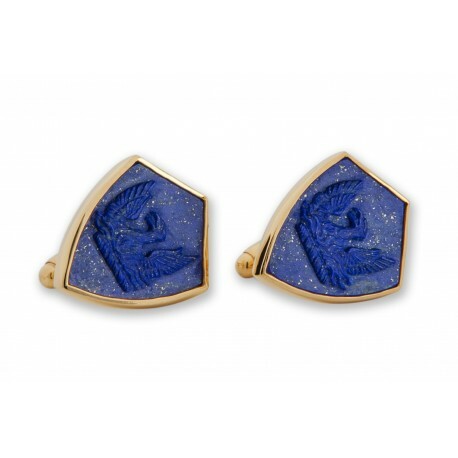 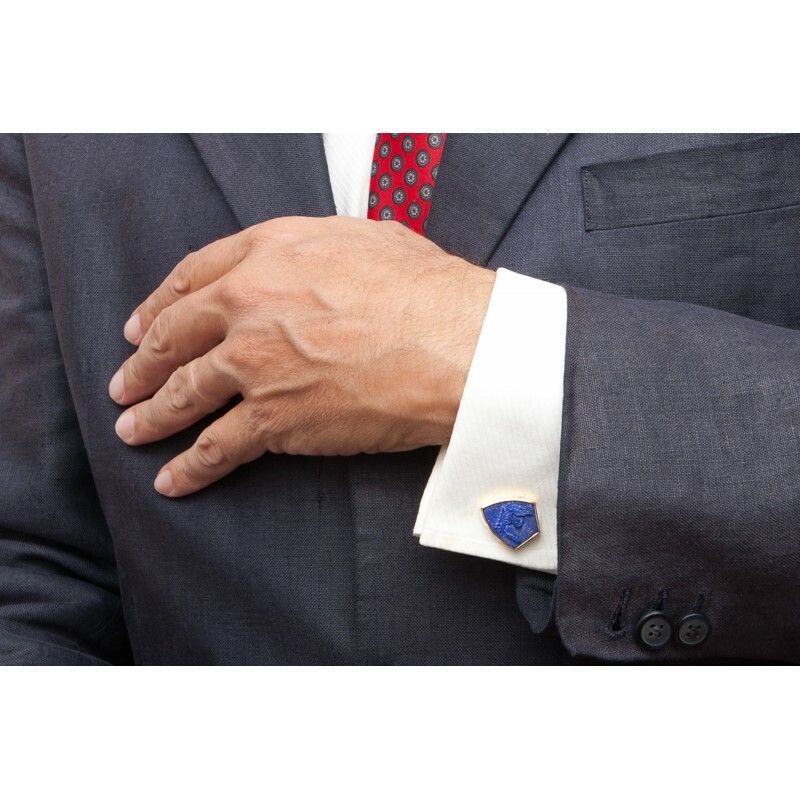 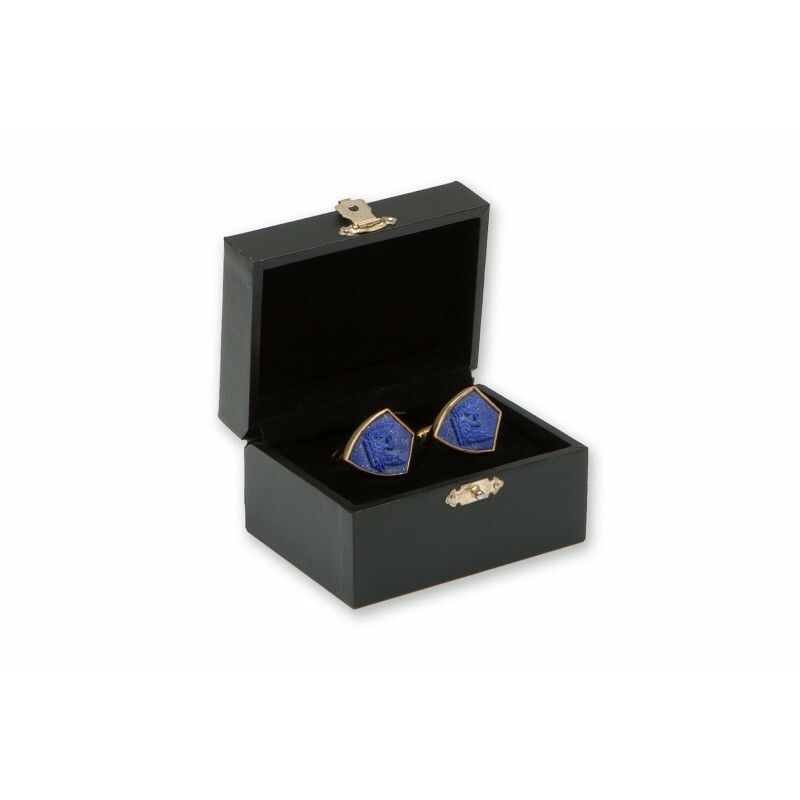 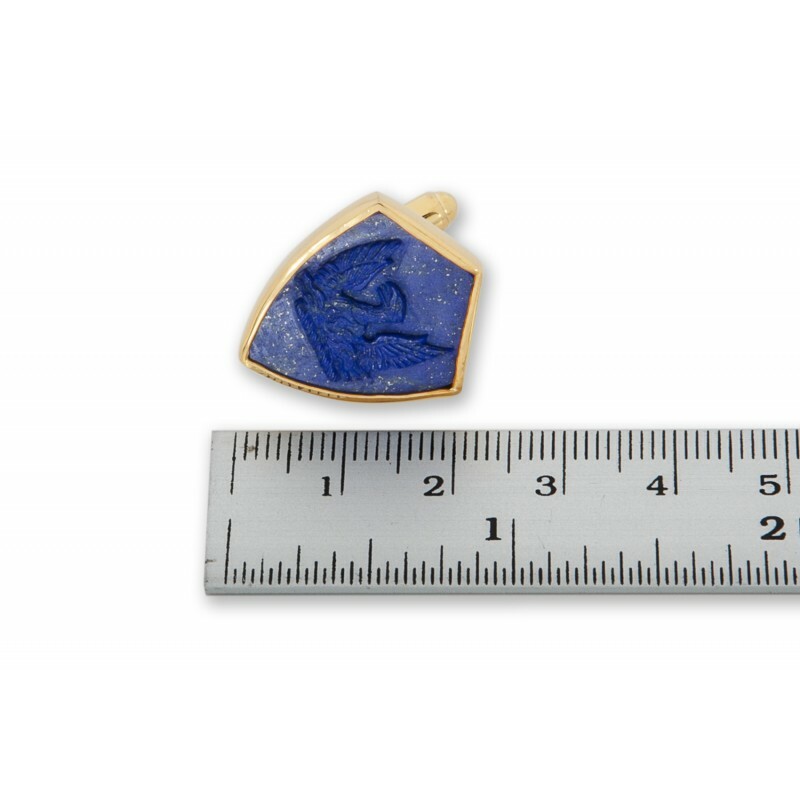 Lapis Cufflinks featuring fine hand carved lapis lazuli in a shield shape. The heraldic phoenix family crest images are skilfully sculpted as in a cameo. 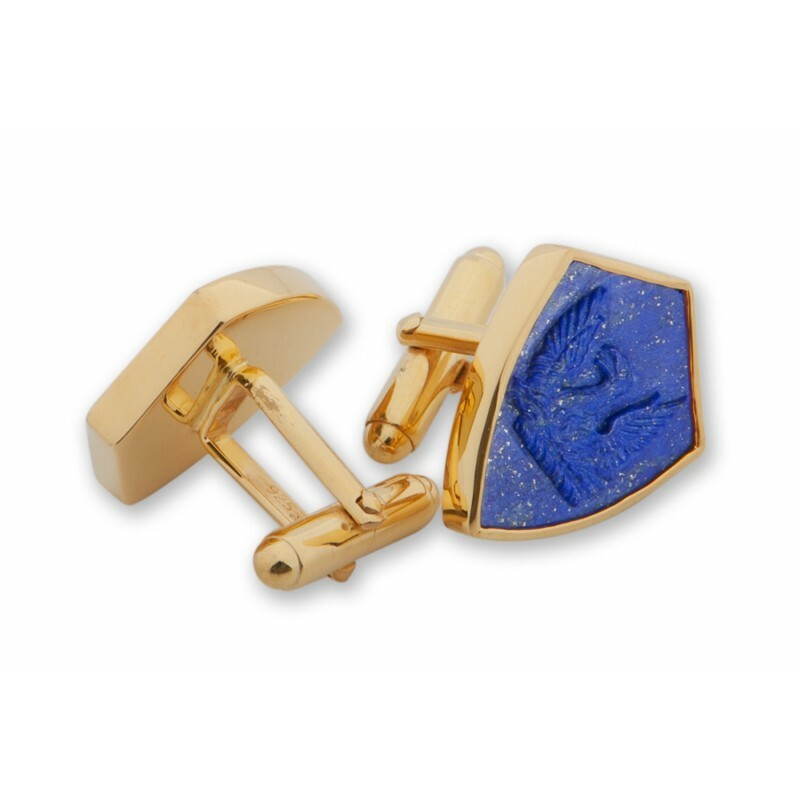 The stones are mounted to a gold plated sterling silver easy fit swivel attachments.